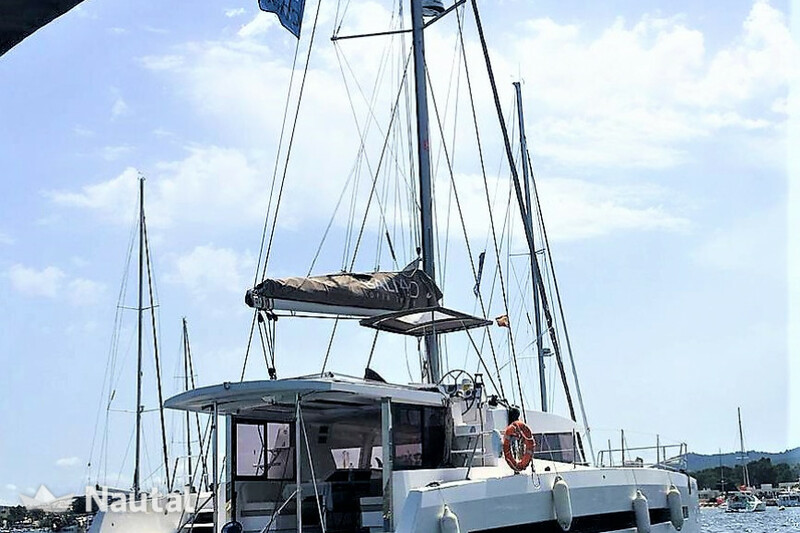 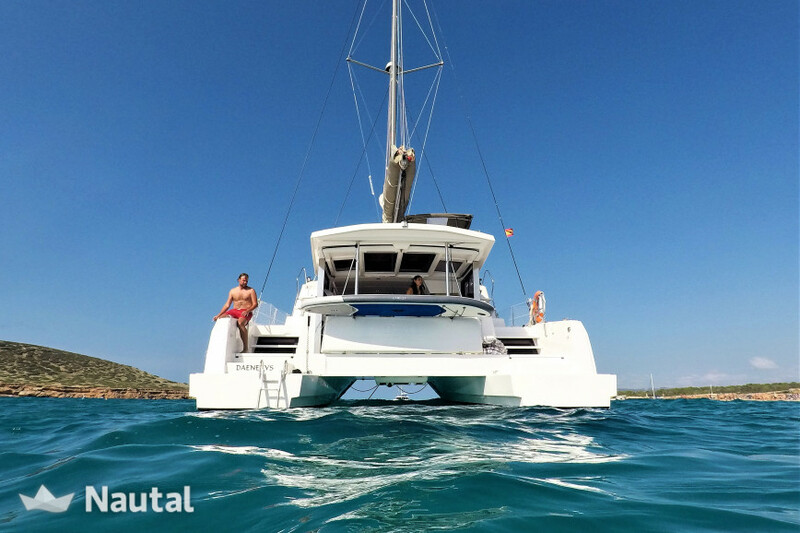 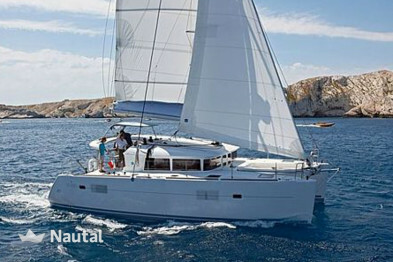 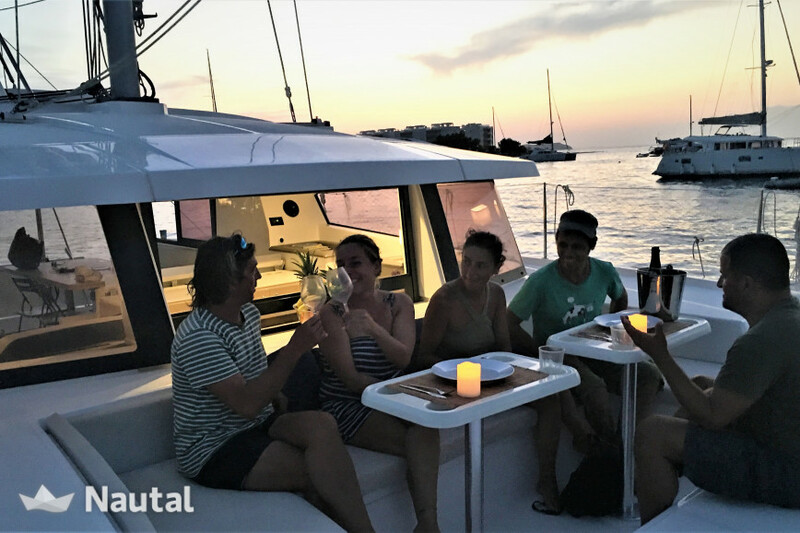 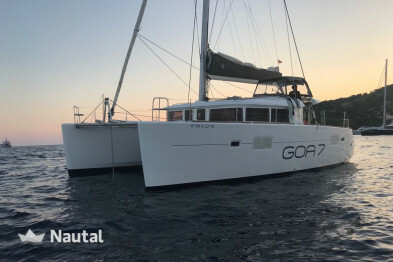 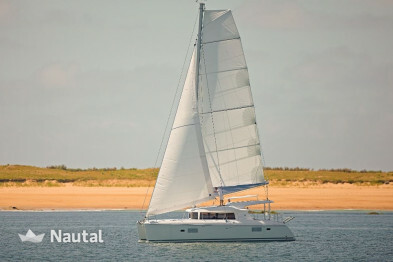 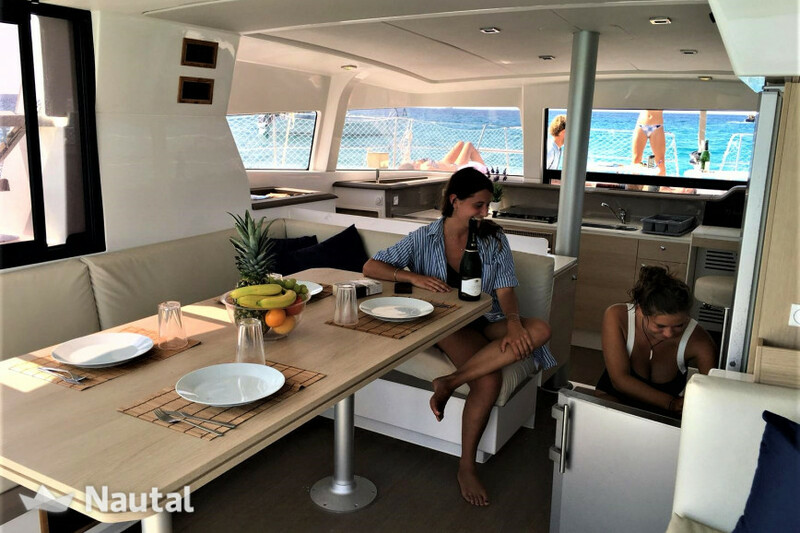 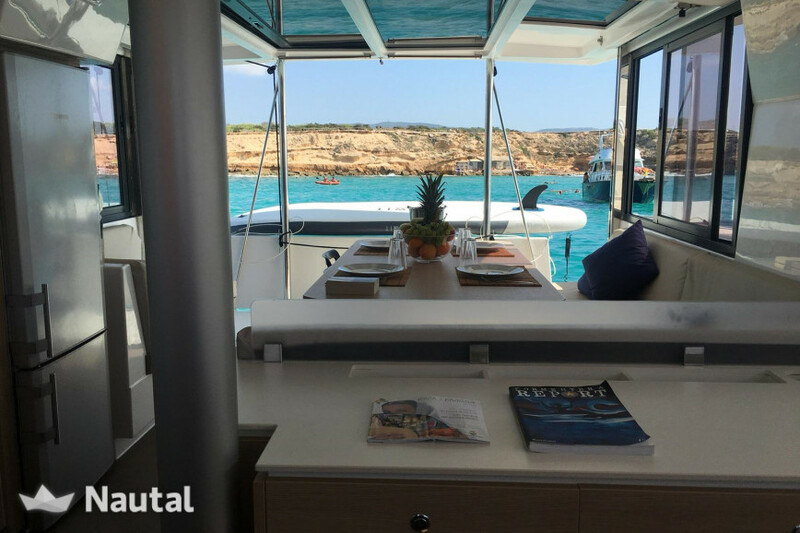 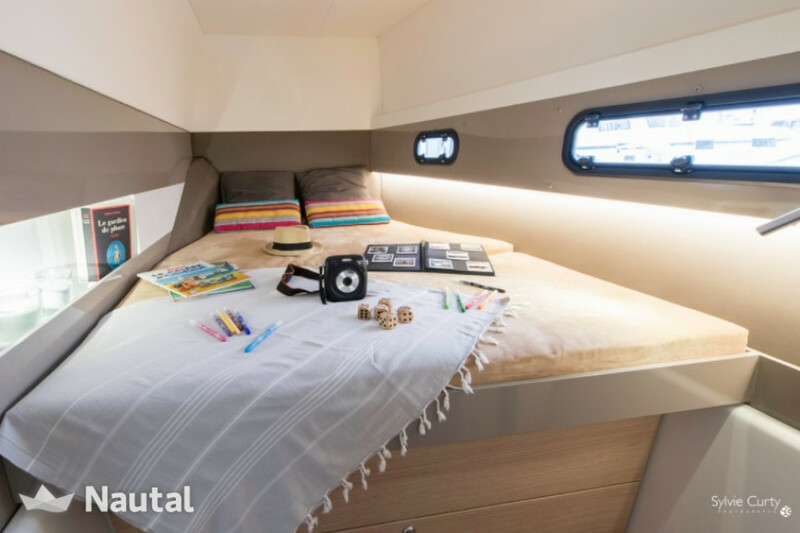 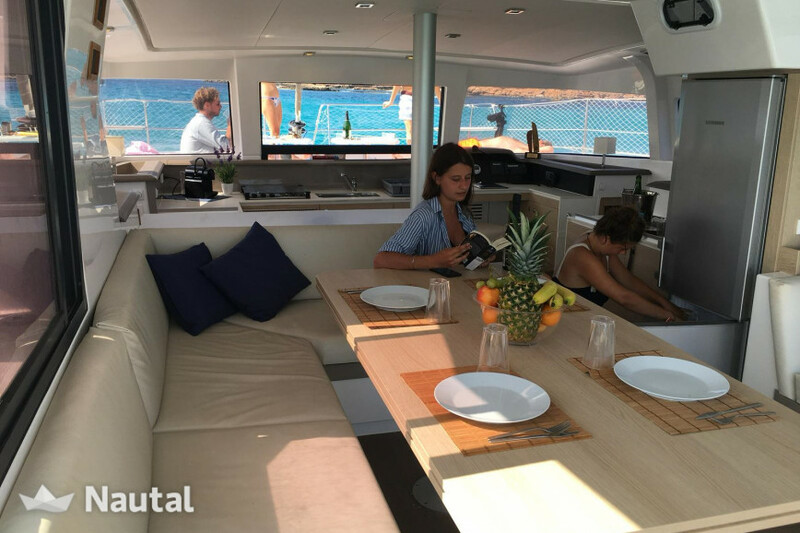 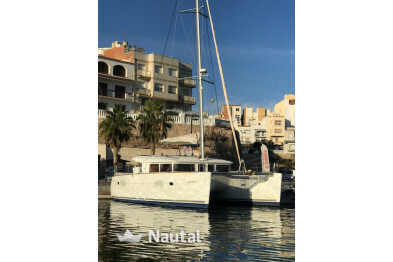 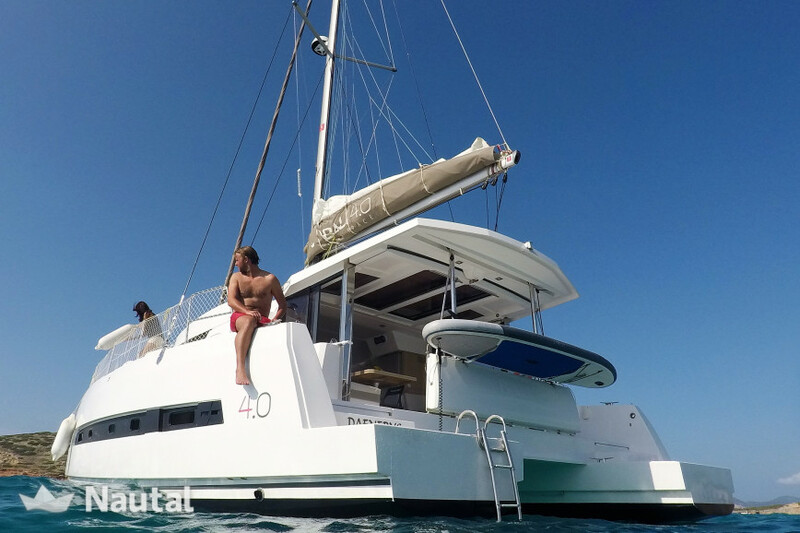 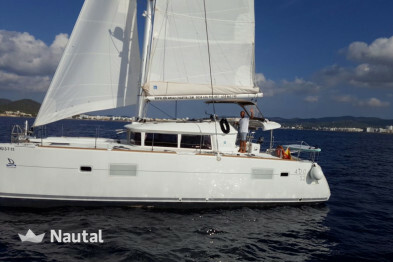 This beautiful catamaran is the best option to enjoy a week charter with family or friends. 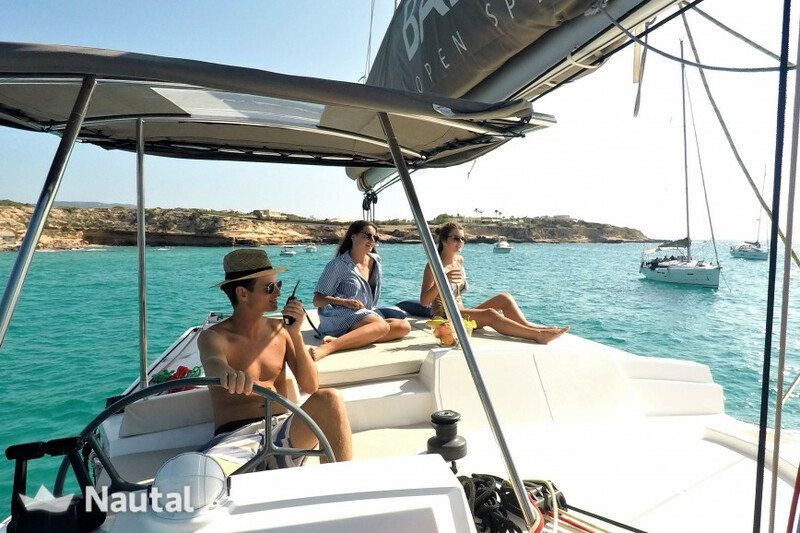 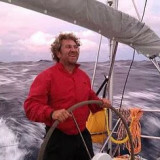 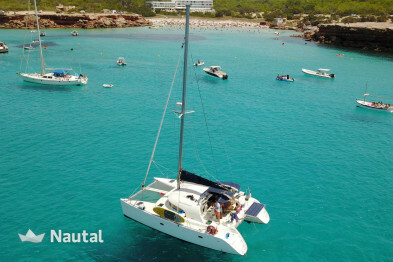 Do not miss the opportunity to launch a catamaran on the Ibizan coast! 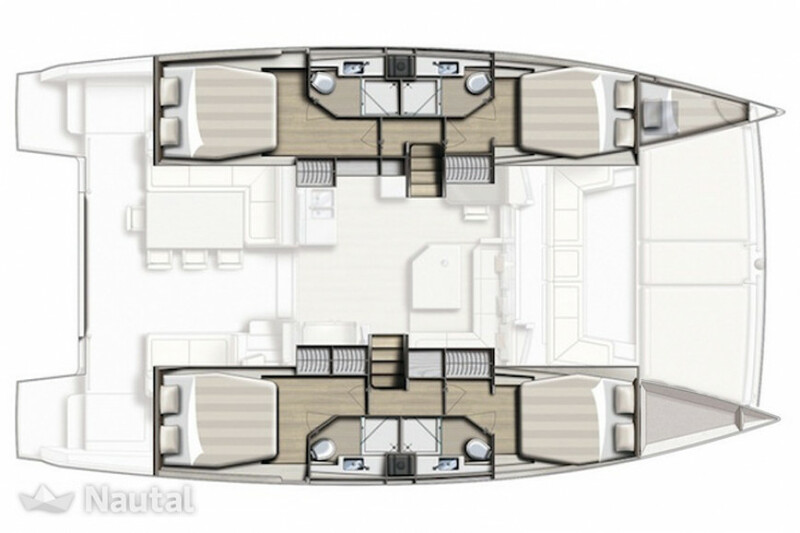 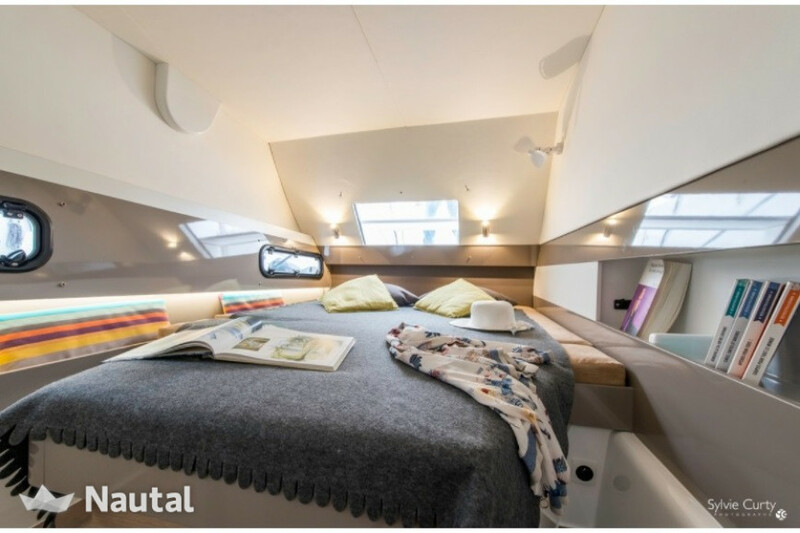 It offers 4 double cabins where you can overnight up to 8 crew, with their respective bathrooms. 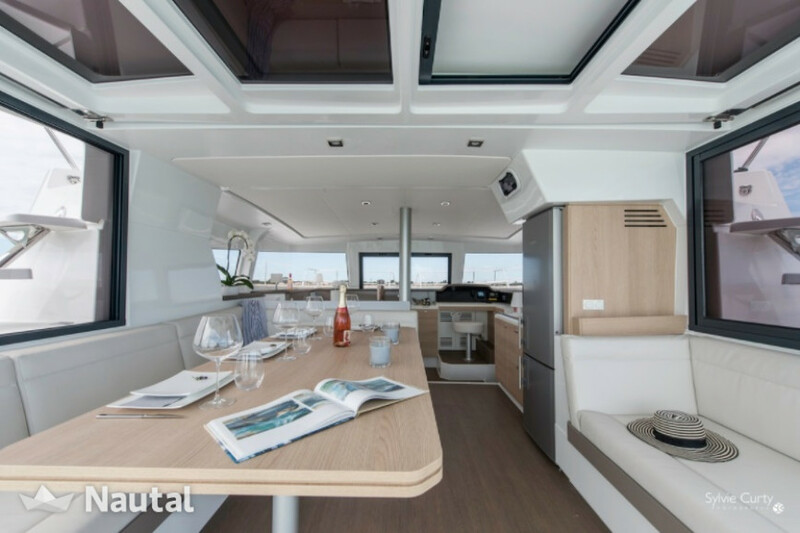 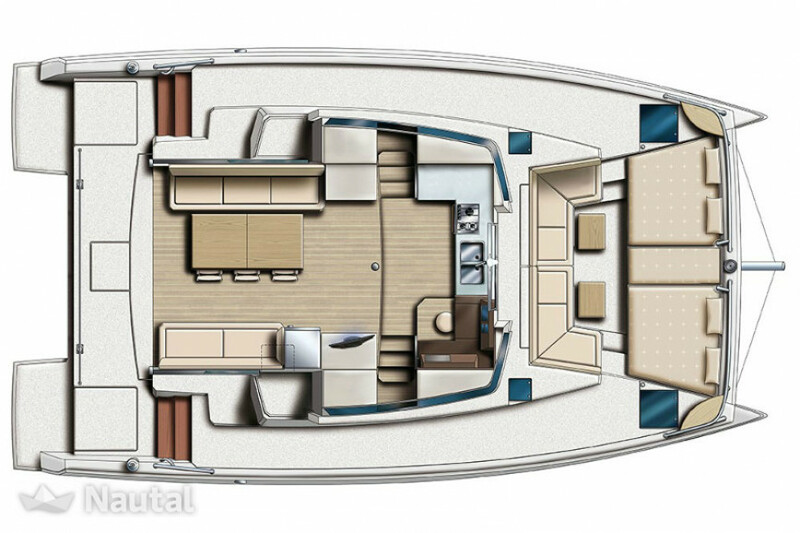 The exterior is fully enabled to relax in the sun and enjoy the navigation experience.